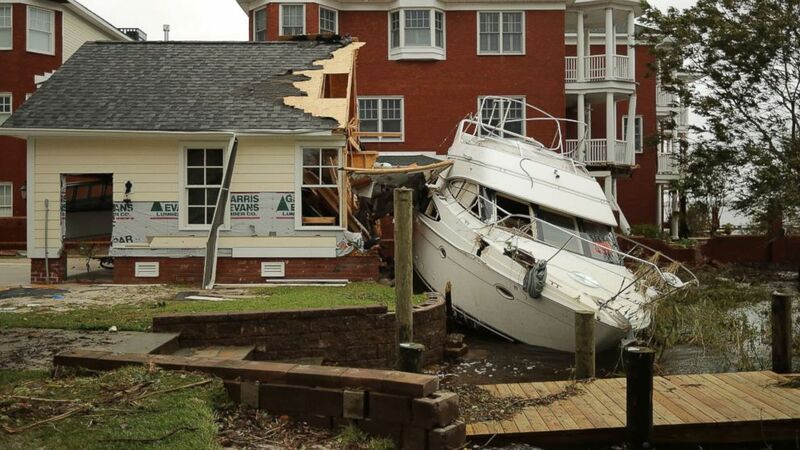 The city of New Bern, North Carolina, was hit hard by the storm. Many parts of the North Carolina coast are grappling with the damage done by Florence over the weekend. 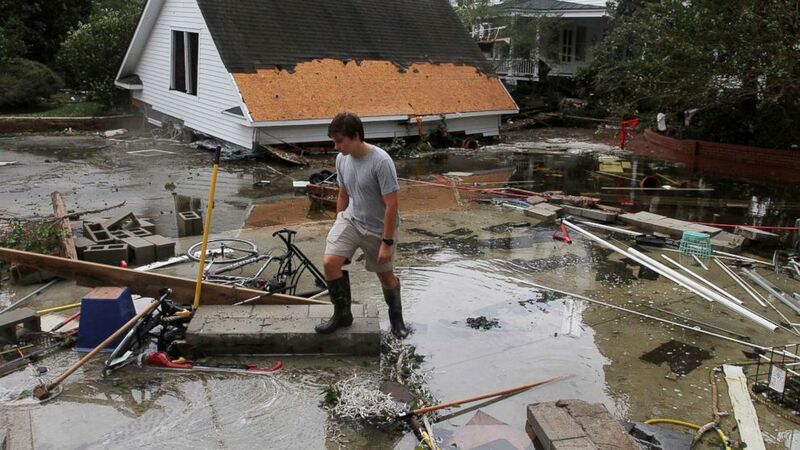 The city of New Bern, located about 240 miles east of Charlotte, was particularly hard hit. "Our city has suffered obviously one of the most devastating storms in its 308 year history," New Bern city manager Mark Stephens said at a news conference Monday. "As you can expect this is a significant setback at the hands of mother nature but we will prevail." 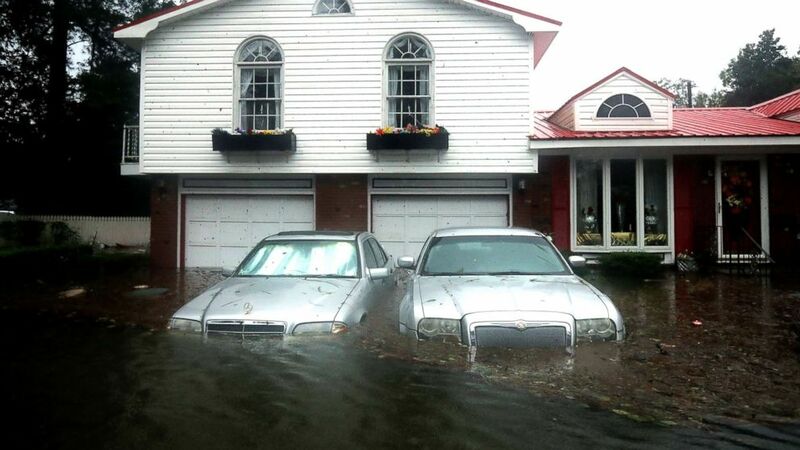 (Chip Somodevilla/Getty Images) Homes are flooded after a storm surge from Hurricane Florence flooded the Neuse River on Sept. 14, 2018, in New Bern, N.C.
More than 4,300 homes were damaged or destroyed in the storm and over 300 businesses faced the same fate, he said. City officials estimate there has been $6 million in damages so far, Stephens said. (Chip Somodevilla/Getty Images) A boat lays smashed against a car garage, deposited there by the high winds and storm surge from Hurricane Florence along the Neuse River, Sept. 15, 2018, in New Bern, N.C.
New Bern has not reported any Florence-related deaths, "truly a blessing in such a significant, record-setting storm event," he noted. Teams are intent on "restoring New Bern to the picturesque city that we know and love," he added.